Kolarele is a practising Barrister, called to the bar in 1998. He specialises in Commercial Litigation, Property Disputes and Employment Law representing individuals, companies (small employers to FTSE 100) and organisations (including charities, universities & associations). Kola aIso delivers training seminars on different areas of law and trains companies in trial preparation. Separately, Kola is a Public Speaking Consultant & Speech Writer with The Great Speech Consultancy. He delivers public speaking workshops, one-to-one coaching, and corporate communications services to companies and organisations. 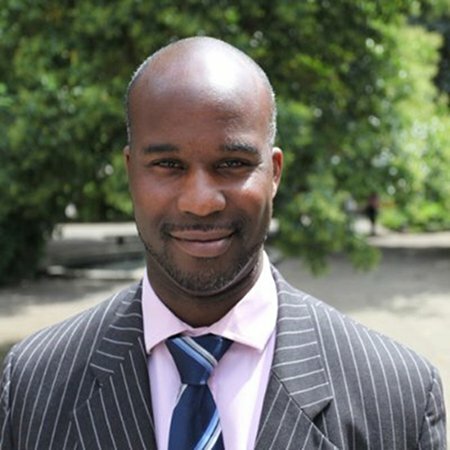 Kola joined the community-based charity 100 Black Men of London as a member in 2004 and was elected its President in 2012. The charity is led by black men delivering programmes & activities focused on Mentoring, Education, Economic Empowerment, Health & Wellness and Leadership. Kola has personal responsibility for coordinating the Peer Mentoring Programme, training young boys and girls in the skills of mentoring, researching, presentations skills, team work and leadership. Kola is the author of two books ‘How to Give a Great Speech’, and the children’s book ‘The Bird that had Vertigo’. A firm believer that we weave our own ‘tapestry of life’, Annette Figueiredo is an experienced and capable leader, manager, influencer with considerable experience of working effectively with and motivating individuals and teams in the Public and Third Sectors – at local and regional levels. She is a strategic thinker and policy practitioner used to working with, as well as challenging, the conventional; and working through complex problems to arrive at sound practical solutions. Experienced at informing, co-ordinating and processing strategy and plans within organisations, Annette is an effective communicator, fundraiser, ambassador and negotiator. With significant experience representing organisations at both senior and Board levels, she is practiced at and passionate about involving customers at all levels of decision-making, within an equalities and diversity framework. Annette has a strong track record of establishing partnership working and project management, and is skilled at stakeholder engagement, within organisations and externally. Annette’s career has spanned both the charity and public sector worlds at local, regional and national levels. She has been a volunteer and held non- substantive posts including at non-executive director levels for a significant number of years.